Google+ is gaining immense popularity and everyone’s talking about it right now. Forget for a second about its “competition” with Facebook and other social media sites; in and by itself Google Plus is receiving fast and wide acclaim, at a global level, and many even say that soon it is going to act as a channel to get people to patronize your business. A channel, in other words, for Internet marketing and social media marketing. 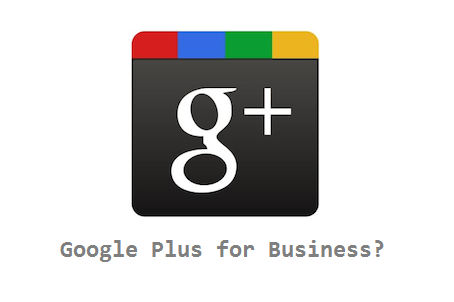 If you already have a Google+ profile, you are halfway to generating, well, more business buzz. Not yet a member? Well, first you have to create a Gmail account (if you don’t already have one). Then you have to get an invitation. For an invite, just visit the site and leave your Gmail address. Once you’re signed up, develop your Google+ profile. Developing a personal profile doesn’t mean that you can’t advertise or promote your business. There are ways around that. Here’s what you can do to get you started. Upload a picture: A picture serves as a visual aid to help you get noticed. Fill up your profile: This is pretty much the same as Facebook or any other social networking site. Just fill up information and make sure you have as complete a Google Plus profile as possible. If you can, add relevant information about your firm. This will help people in your circle discover what you do for work, and might even catch the attention of prospective clients. Videos: Have you ever tried video marketing? Well, if you have corporate or business videos in stock, feel free to upload them on to your profile. Not only does this establish your credibility; it also gives people a clearer view about you and your organization, and about what exactly you can offer. Build your network. Add people you know as friends. Then look for names of people in your Gmail address book. After that, you also might want to add people – friends of friends – who are likely to be interested in what you have to offer. Do it regularly; network regularly and energetically. Join conversations as it helps you engage more actively with your friends and prospective clients. If your friends posted something, feel free to comment. Also, don’t forget to “plus” their content. It goes a long way in showing you don’t just talk – you also listen. Joining mere conversations is not enough. You need to create them, too. If you have new information or events related to work, don’t hesitate to announce it through the Google Plus medium. About the author: This is a blog post by Smarta. Looking to work from home? We can help you start a business!